Night At The Museum 3 (DVD). Condition is Very Good. Dispatched with Royal Mail 2nd Class Large Letter. Sausage Party Blu-Ray (2016) Greg TiernanTitle: Sausage Party Leading Actor: Greg Tiernan Region: Region A,B,C Duration: 89 mins Format: Blu-ray / with UltraViolet Copy Type: Blu-ray No. UK Release Date: 26 Dec 2016 Edition: with UltraViolet Copy. THE NANNY: THE COMPLETE SERIES 1-6. HD DVD bundle, Some sealed. 45 films in total. HD DVD bundle, Some sealed. 45 films in total. Any questions, please ask. GAMING | GEEK | POP CULTURE | RETRO. What is the region coding of this DVD?. I have received my item but I no longer require it?. Retired New York judge Justin Playfair (Scott) struggles with his new reality after the death of his wife. The pair are forced to go on the run where they find themselves on bizarre and life-threatening adventures. The cast also features Sarah Solemani, Dawn French and Raoul Trujillo. Series 1 episodes are: 'The Wrong Mans', 'Bad Mans', 'Dead Mans', 'Inside Mans', 'Wanted Mans' and 'Running Mans'. Now, they’re going to have to do it for real. All discs are new and unplayed. Night at the Museum 3: Secret of the Tomb [DVD]. 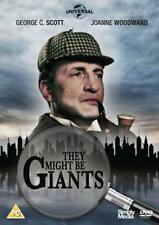 They Might Be Giants [DVD]. 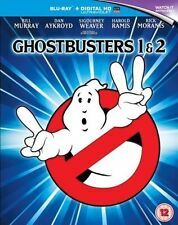 Extras: Language(s): 'Ghostbusters': English, French, German'Ghostbusters 2': English., 'Ghostbusters 2': French, Russian VO, 'Ghostbusters 2': German, Japanese, Spanish, 'Ghostbusters 2': Italian, Portuguese|Hard of Hearing Subtitles: English|Subtitles: 'Ghostbusters': English, Arabic, Danish, Dutch, Finnish, French, German, Hindi, Norwegian, Swedish, Turkish. KINGSMAN: THE SECRET SERVICE. DVD (Region 2). New & Sealed. Zoom > Better Call Saul (with UltraViolet Copy) [Blu-ray]. 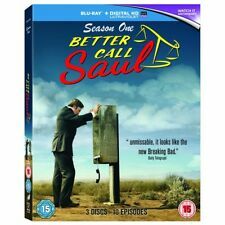 Product Better Call Saul: Season One (with UltraViolet Copy) [Blu-ray]. All ten episodes from the first series of the 'Breaking Bad' spin-off starring Bob Odenkirk. Sausage Party [Blu-ray]  [Region Free]. QUICK DESPATCH. BEN STILLER. SECRET OF THE TOMB. NIGHT AT THE MUSEUM. MATHEW BAYNTON. SIMON FARNABY. DAMIAN LEWIS. UNIVERSAL UK 2016. REGION 2 DVD. Series 1 Two lowly office workers are caught up in a deadly criminal conspiracy after discovering a ringing phone at the scene of a horrific car crash. Bruno | Waiting | Priscilla Queen Of The Desert | Cruel Intentions Dvd Set. Condition is Very Good. Title: The Wrong Mans - Series 1-2 [DVD]. Title : The Wrong Mans - Series 1-2 [DVD]. DVD'S & FILMS. Condition : Good. Product Category : DVDs. Languages : english Subtitles For The Hearin. Format : PAL. 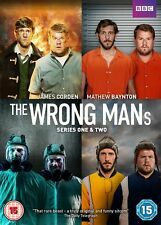 The Wrong Mans - Series 1-2 [DVD]. Sausage Party [Blu-ray]  [Region Free]. All of our paper waste is recycled within the UK and turned into corrugated cardboard. Can't find what you're looking for?. General Interest. Your item will be previously owned but still in great condition. Title: Night at the Museum 3: Secret of the Tomb [DVD]. Release Date: 2015-04-13. Product Details. ❤ OCEAN'S THIRTEEN (DVD, 2007) - SUPERB star studded action heist-genre movie cert.PG starring George Clooney, Brad Pitt, Matt Damon, Andy Garcia, Don Cheadle, Bernie Mac, Ellen Barkin and Al Pacino. This disc will not play on NTSC players. GENUINE DVD. NEW LINES INTRODUCED REGULARLY. HUNDREDS OF DVDS AND CDS CURRENTLY LISTED. Slip is unsealed so will have imperfections. Pixels (Blu-ray 3D) [Region Free]. QUICK DESPATCH. Actors: Adam Sandler, Peter Dinklage, Josh Gad. Now, they’re going to have to do it for real. Pixels [Blu-ray 3D] . 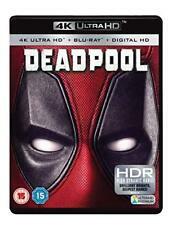 Region: All Regions (Read more about DVD/Blu-ray formats.). DVD Release Date: 7 Dec. 2015. Now, they’re going to have to do it for real. Requires Blu ray Player. CONDITION = SEALED/ NEW. CERTIFICATE 12. 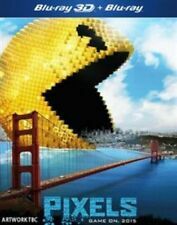 Title: Pixels (Blu-ray 3D) Region Free. Item Condition: Used; Good. This date is supplied from the publishers data and can be inaccurate. An Affectionate Look At W.G. Fields DVD VGC Freepost Fast Dispatch. This item will look and play like it should. SEALED DVD. BUY IT NOW IS THE COMPLETE ITEM AS PICTURED.